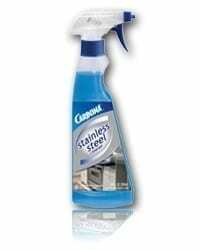 Can Carbona® 2 in 1 Oxy-Powered Pet Stain and Odor Remover with Active Foam™ Technology be put into a steam cleaner? 2 in 1 Oxy-Powered Pet Stain and Odor Remover with Active Foam™ Technology is for spot removal. It should not be put into a steam cleaner. Do I need to vacuum after using 2 in 1 Oxy-Powered Pet Stain and Odor Remover with Active Foam™ Technology? Vacuuming is not necessary. It is your preference. You do need to remove excess product with a clean, damp colorfast cloth or sponge. Are there refills for 2 in 1 Oxy-Powered Pet Stain and Odor Remover with Active Foam™ Technology? No. We do not sell refills because the brush is designed to last for the amount of the formula in the bottle. Use promptly after stain occurs for easier stain removal. Do not use on silk, velvet, Haitian Cotton or fabrics harmed by water. I live in an apartment with no backyard so my dog is trained to use the potty pad. Well she has bad aim and misses a lot. I found this stuff at Target I think and it works sooooo well! It gets rid of any stains by the time it dries. I also love that it has the little scrubby thing on top so you’re not using paper towel and it shreds everywhere and then you have another mess to clean up. Absolutely amazing. We have an elderly cat with a sensitive stomach – not a good partner for carpet. 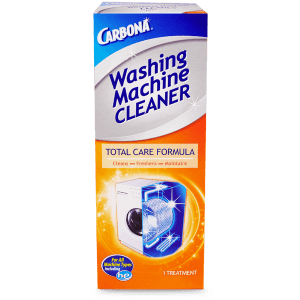 This cleaner has saved our carpet many many times; easy to use and extremely effective in removing stains, even if we don’t notice them right away. If you have a pet that makes any kind of mess on the floor this is for you. I use it 100% of the time when my cat regurgitates and it always prevents stains. I have also used it on my bedspread and it has worked. We have been a 3 cat home always. This product is so easy to use for all the “urpsies” (as we call it). Hair ball urpsies, food urpsies, “mystery” urpsies–all are a normal part of living with cats. We remove the above carpet stuff with ie a spoon or hard scrapper item. Next we use the brush and stain remover until the dark stain sort of magically disappears. It doesn’t take a great deal of time or wetting the stain. In first using the product we’d go back to vacuum but many times couldn’t even ID where the stain WAS on the carpet. We’ve never, ever had a problem with odor once it is treated. It’s amazing when I look at our carpet knowing there have been many treatments but can’t see any damage or lingering stain. P.S. We have light tan, almost white, carpeting in our home! It’s still beautiful. I have had indoor pets for 28 years. I am now up to 9 indoor/outdoor kitties. There has never been such a remarkable product! Even machines do not remove pet stains so well and this is so easy to use! I tell everyone I know!! Thank you!